The DST micro-T and the DST nano-T are small implantable temperature recorders that measure temperature wiht high accuracy and store the data in their internal memory. All measurements are in real time and can be accessed after the logger has been retrieved. The DST housing is made of alumina, a biocmpatible ceramic material that is not recognized as foreign material by the animal's organism. Both DST micro-T and DST nano-T do not affect the animal's health when implanted. The same logger can be reused as long as the battery lasts. The loggers can be used environment where exact and accurate temperature measurements are required. 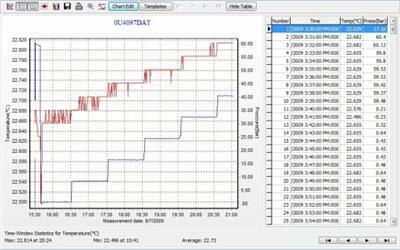 Both types of Dataloggers can be used with the Mercury Software package. Mercury is our graphical Windows supporting software for the Pharmaceutical Industry. It is suitable for DST micro-T and DST nano-T. Just like our other software, Mercury offers various options for measurement setup and graphical and tabular view of retrieved data. 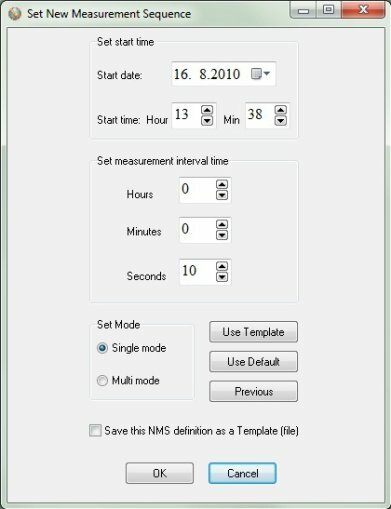 In Mercury, the user sets the start time, start date and sampling interval before starting the recorder. A single interval can be defined, in second(s), minute(s) or hour(s). Up to seven different intervals can be set for the same measurement sequence. Number of measurements is defined for each interval. This is especially useful when more frequent measurements are needed at certain time periods. Every 30 days, Mercury automatically searches the designers website and downloads the latest updates to the software. After recovering the DST, recorded data is uploaded to the software where the results are displayed in both graphic and tabular form.